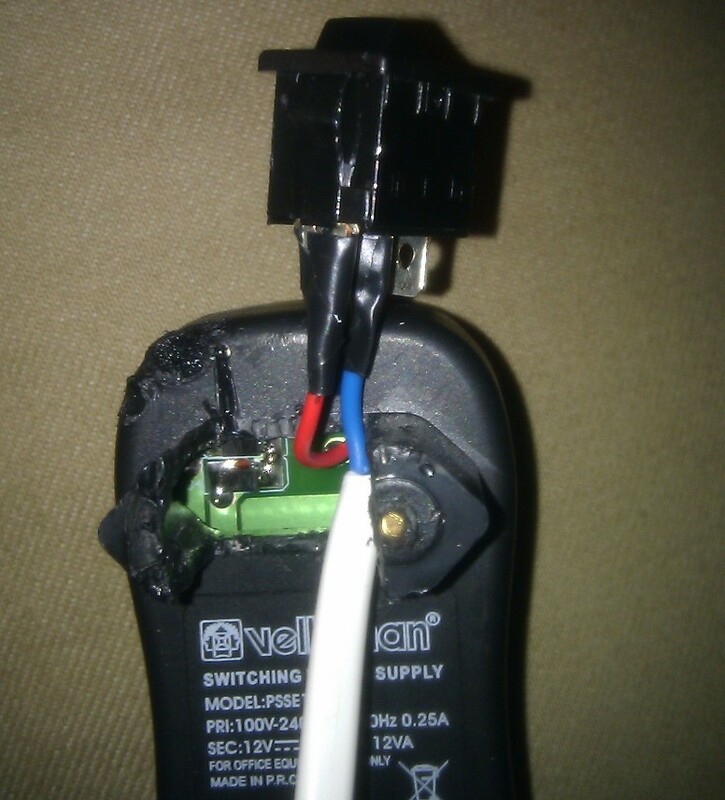 Finally finished my first hack. 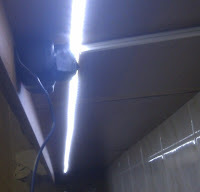 I needed a light for my kitchen counter, so I ordered a LED Strip from eBay and hacked an AC adapter to include an ON / OFF button and to connect it to mains without using a power socket. 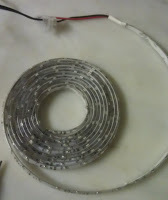 To cover the surface of my counter I used 48 segments of the LED strip (about 2 meters). 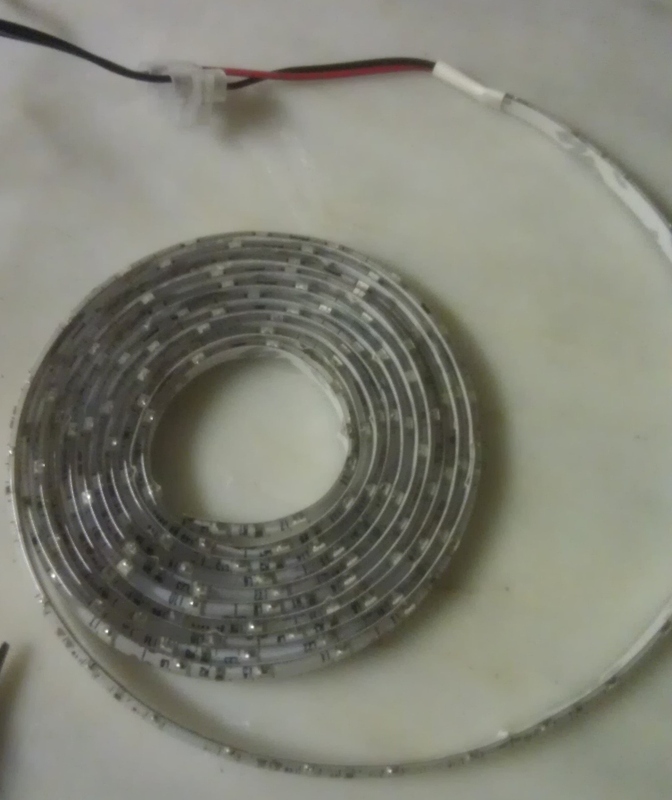 Each segment has 3 white SMD leds (type 3528) and a 150 Ohm resistor. 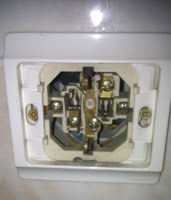 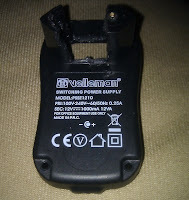 For it to work it needs a 12V power source with sufficient current output. 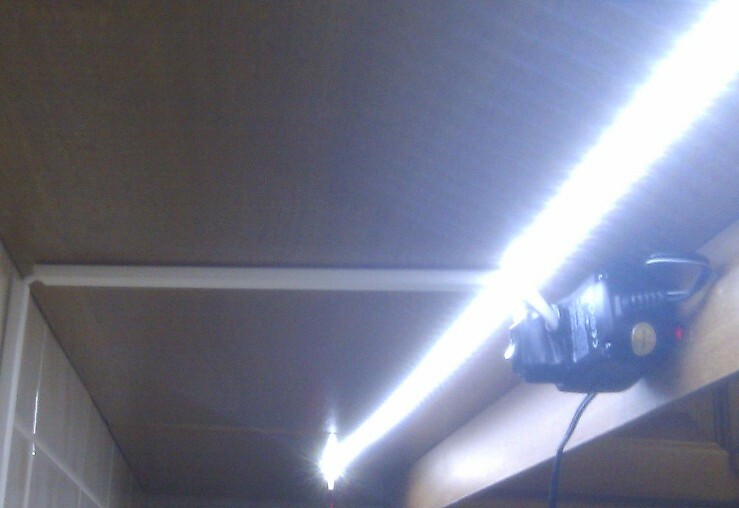 For the total 48 segments that's 768 mA, resulting in under 10W lighting!!! 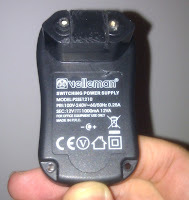 For that I bought a SMPS AC adapter in order to guarantee the regulated 12V while using that much current. 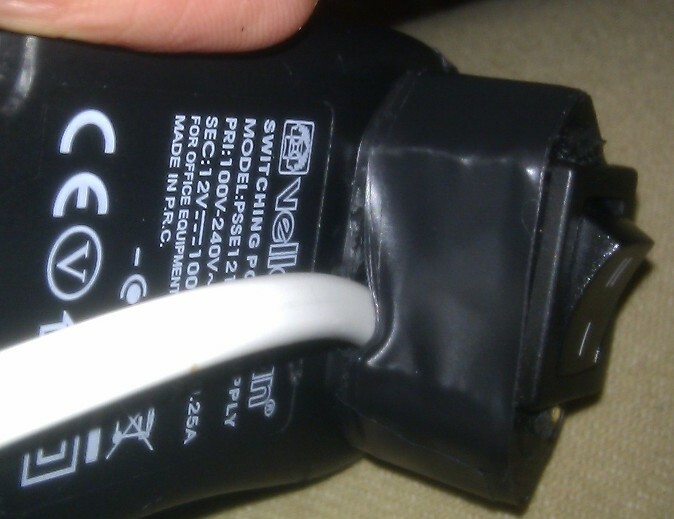 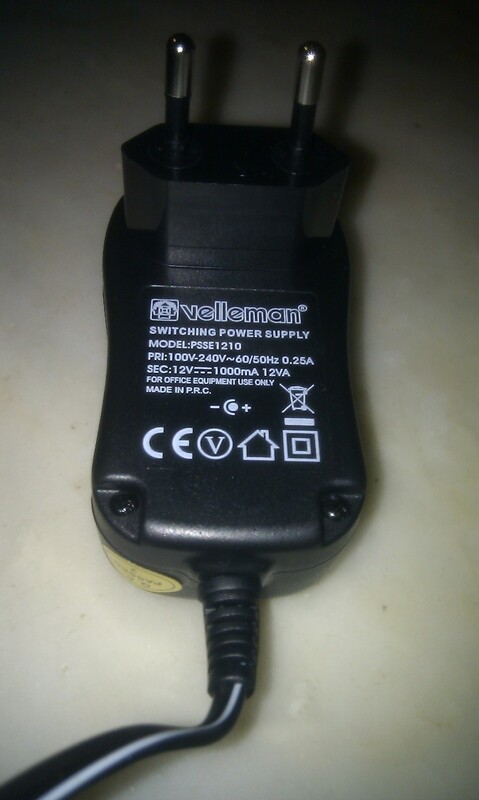 An average (unregulated) AC adapter wouldn't provide nor the 12V neither near the maximum 1A stated. [ladyada] also shed me some lights on that matter. 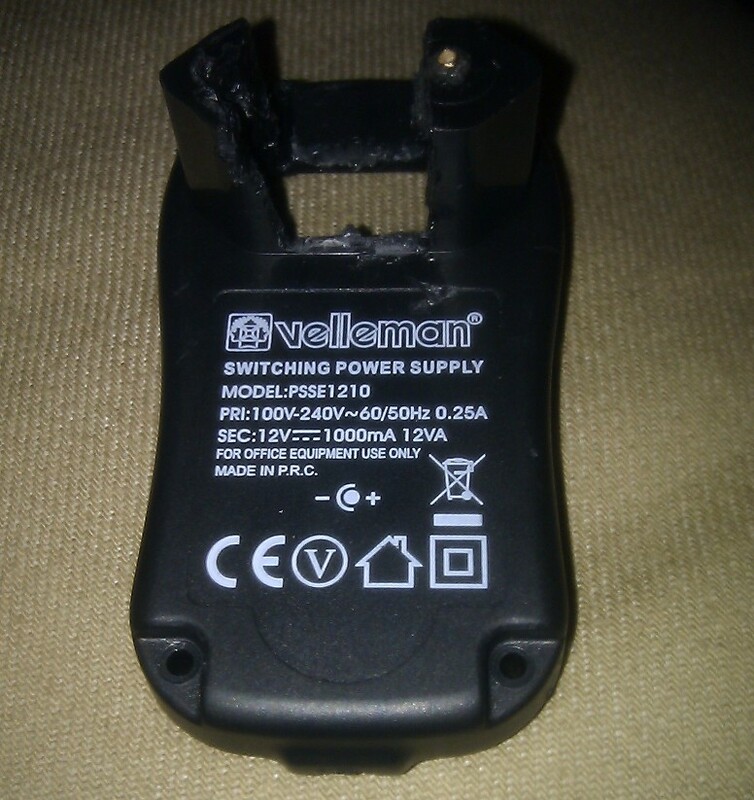 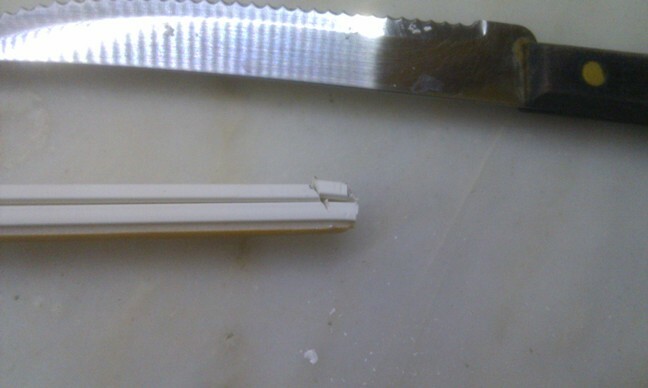 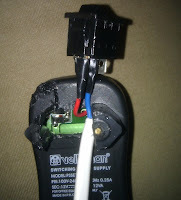 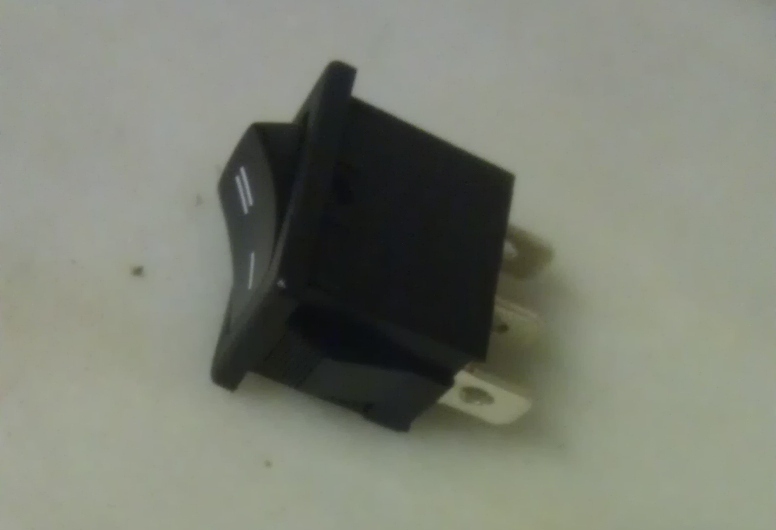 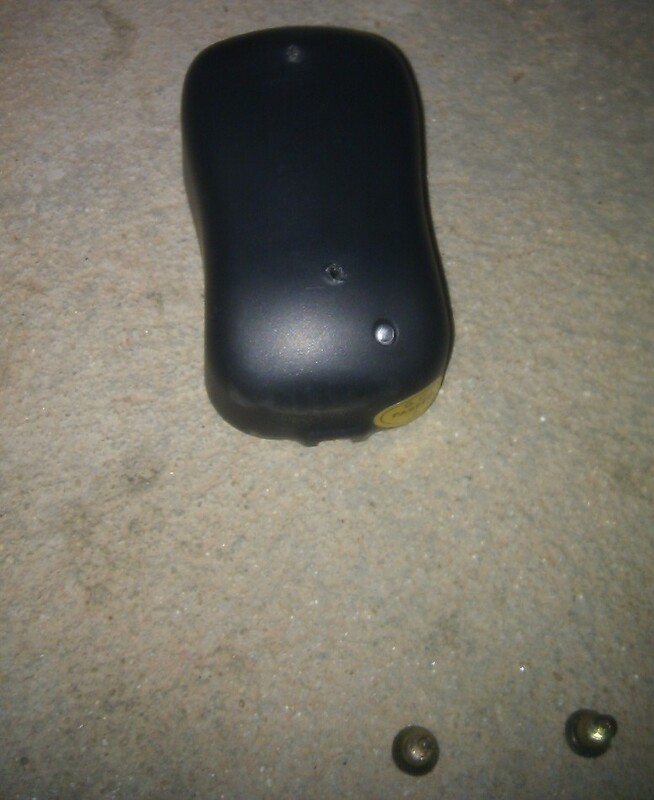 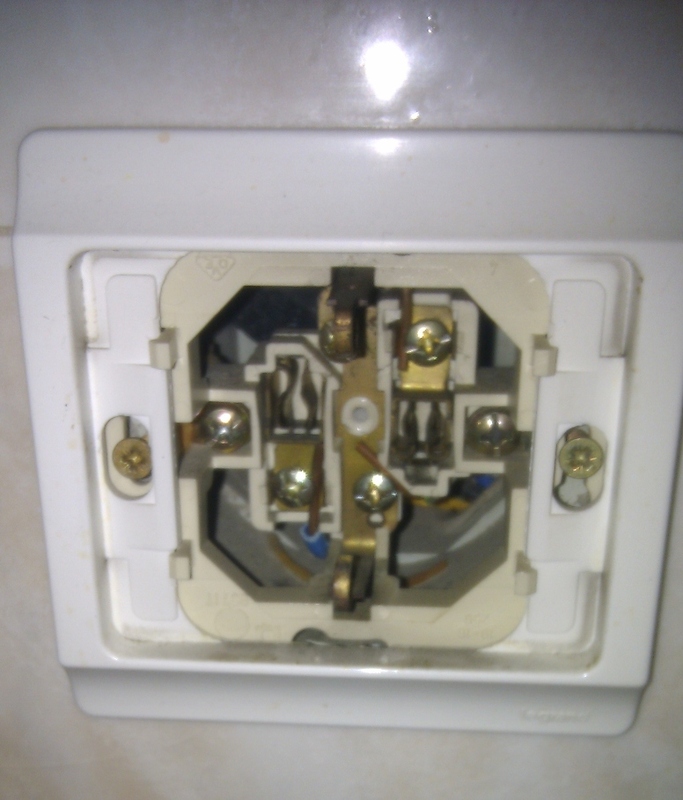 In order to cut the space for the switch button in the AC adapter, my kitchen knife wasn't enough, so I used my soldering iron to heat a metal needle and a kind of a thick clip used by stores to keep shirts folded in it's package. 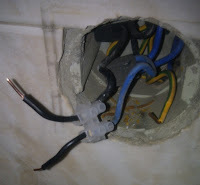 Even so it was a hard work. 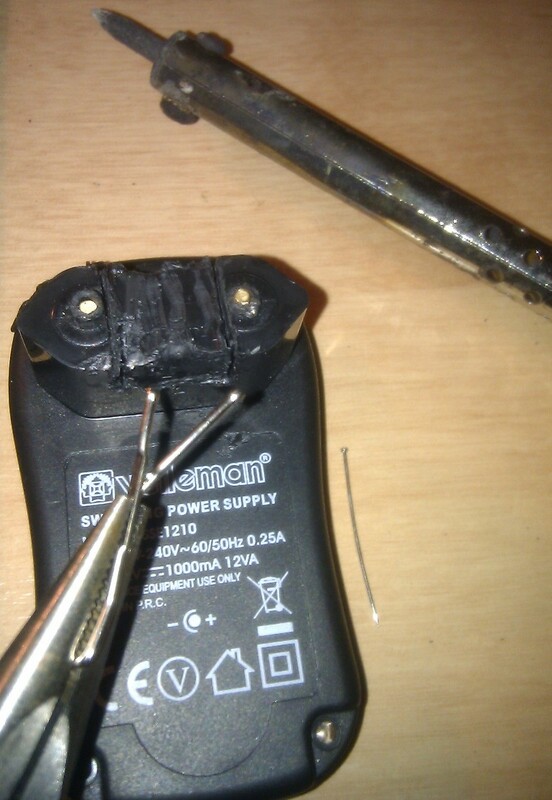 Then I just needed to solder the switch button and the wire to the board and cover it all with electrical tape.